So Easter is over and no longer will we have to endure cute bunnies and eggs taking over the blog World. 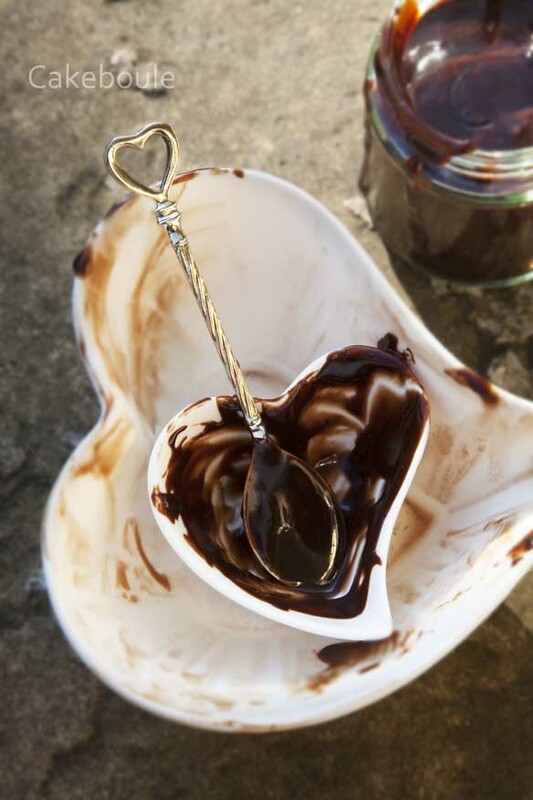 If you want to use up your left over Easter eggs then try this recipe for naughty hot chocolate fudge sauce which is perfect accompaniment to an ice-cream sundae and you can use up any left over easter eggs either in the sauce of by scattering them on top. This sauce so my family tells me is rich, fudgy and as my son says ‘delish’. It only took 20 minutes to make and would make a great gift coupled with a small bag of chocolate or fudge to give the gift of a Sundae. A number of friends have told me I should go on Dragon’s Den with this recipe or sell it to Ann Summers for lickable body paint but I think not. Of course what you do with the sauce in your own home is up to you. You are probably wondering why I have not tried any of this sundae if it is so delicious? Well, milk and I do not see eye to eye. In a chemical warfare battle between my stomach and ice-cream – the frozen stuff wins and it is just not worth it. It was so hard to take these photographs and not lick the spoon or the bowl as I love ice-cream but it would have reaped its revenge on me. Luckily I enjoyed watching my boys and the surrogate one (Ron) lick their spoons with glee so that made up for it. The sauce will keep in the fridge for a few weeks (or more) if you use a sealed jar (e.g Kilner or Mason). To use the sauce just scoop the sauce you need into a bowl and heat in a pan or in the microwave for about 30 seconds on medium until it comes back to pouring consistency. I have included the jar label files (scroll down) so you can decorate your jars and make them look all pretty. Just print them out and glue them on I only used a glue stick as they are not going to stay on very long. I have included photoshop editing compatibility on the pdf for those who wish to edit and change the wording or colours – my gift to you. You could also use the sauce on a cake between the layers for a chocolate fudge experience and heat it up and serve it with ice cream mmmmm. I set my family an Easter Egg hunt where for each egg found they were given a binary number as I still on a binary kick (read chocolate & binary – trust me it is the best learning combination). I can’t say they were initially thrilled at the idea as it required effort but no pain no gain I say and after all Mummy had been to Hotel Chocolat and therefore extra effort to gain these gifts were required. Once they had worked out the decimal from the binary code (one per egg found) they had to match the number to the letter in the alphabet (e.g 1 = A, 2 = B) then they had to put the letters in the right order to find out the location of their egg. Ha ha I loved watching them try to figure it out 🙂 and I am so doing it again next year. To make this gluten or wheat free – use Green and Blacks Cocoa or Nestle – or check the manufacturers label. 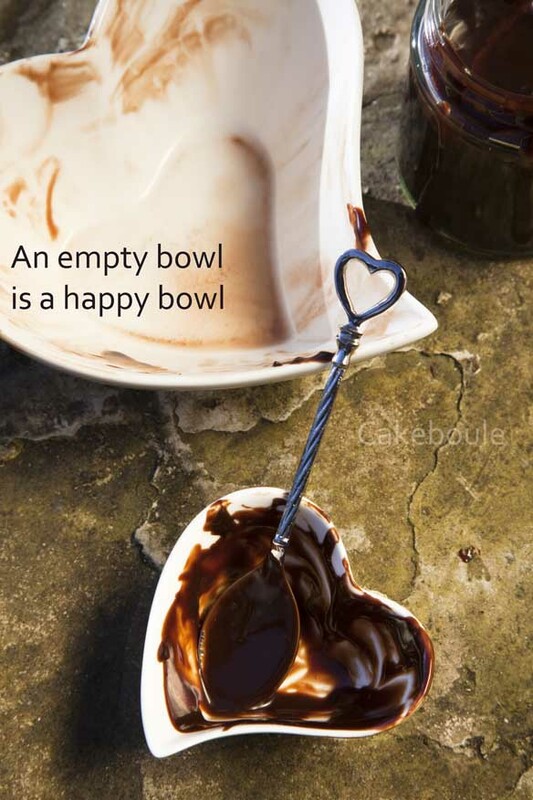 For more tips see my post – 7 tips for gluten free baking. 1. Place all the ingredients into a large pan over a medium heat and stir constantly until you reach boiling point (approx 10 – 15 mins). 2. Continue cooking for a further 5 mins and the sauce will begin to thicken. Depending on how you like your sauce (thick or slightly runny) take it off the heat when you are happy with the pouring consistency. Add the vanilla essence. 3. If you are not using the sauce straight away you can pour into sterilised jars and add pretty labels. The PDF labels (I have not done this before so please do not yell at me if this does not work!) I believe all you need to do is click on the link to open the file and then right click to save it (you will need a pdf reader). This entry was posted in Chocolate, Gluten Free Recipes, Quickies, Recipes and tagged chocolate, chocolate fudge sauce, chocolate sundae, cooking, cute bunnies, dessert, diy, easter, easter eggs, food, fudge, gifts, Gluten free, homemade, hot chocolate fudge sauce, ice ceam, jar labels, jars, labels, left over, Review, sauce, sleekster, sundae, what to do with by Jacqueline Jay. Bookmark the permalink. Drooling as I read this!!! 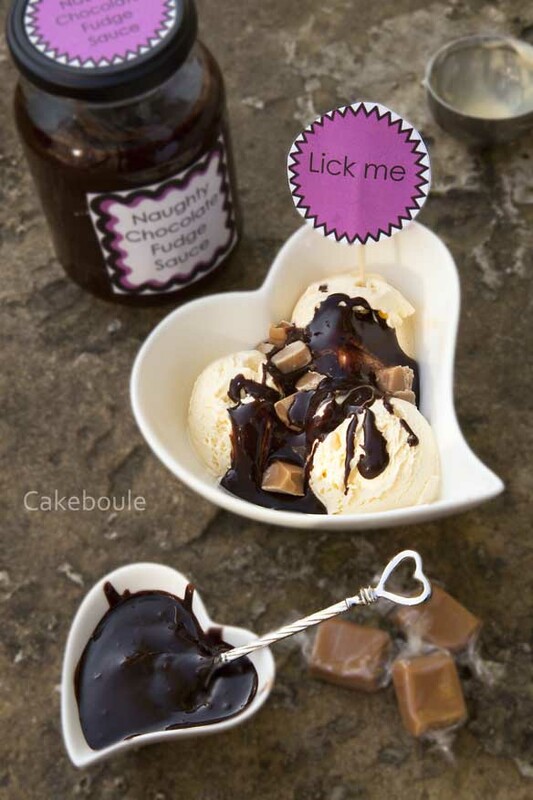 OMG i want to make this RIGHT NOW 😀 thanks for the great idea of how to use up easter eggs ~ it’s a shame that you can’t eat this hot chocolate fudge sundae 😦 but i’m sure there’s other goodies you can eat! Oh yes! I made some dairy free Popsicles / paletas that’s if I could get the silly things out of the mould! Just…….wow! You’re so bad for my diet but I love you for it! Sorry! That’s why I stay small as I can’t eat half of what I make! Sounds gorgeous! But left over Easter Eggs? whoever heard of such a thing – hee hee! I know that’s for hoarders like me! This looks amazing!! It’s a shame you can’t eat it yourself – perhaps that’s the secret to keeping trim whilst baking all sorts of yummy stuff! ps The pdf works – thanks! Thanks for letting me know much appreciated!! Wow, amazing weblog structure! How lengthy have you been running a blog for? you made blogging look easy. The entire glance of your website is excellent, as well as the content! Thank you your cupcakes look good also – I am off to have a look at those! I have been blogging properly for 6 months before that just on and off. 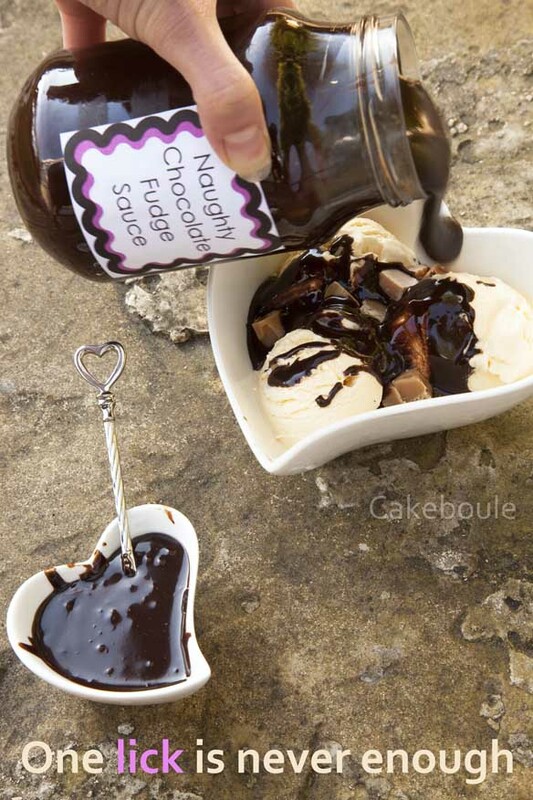 Hot Chocolate Fudge Sauce (Gluten Free) | cakeboule Pretty nice post. I just stumbled upon your weblog and wished to say that I have truly enjoyed surfing around your blog posts. In any case I’ll be subscribing to your rss feed and I hope you write again very soon!